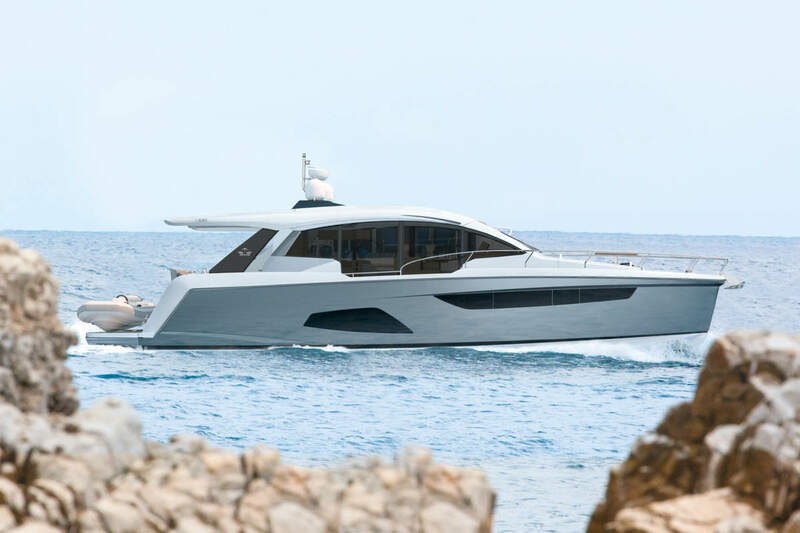 With a sleek exterior and an all new light-weight, resin-infused hull which has been optimised to provide a smoother transition to plane and also widen the range of planing speeds, the new 43 offers the ultimate in performance, efficiency, comfort and elegance as well as impeccable seakeeping and handling. 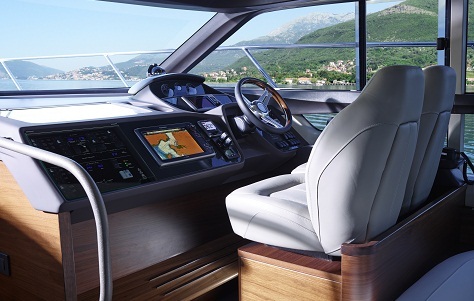 The intelligent design of the exterior spaces offers ample scope to enjoy life out on deck. 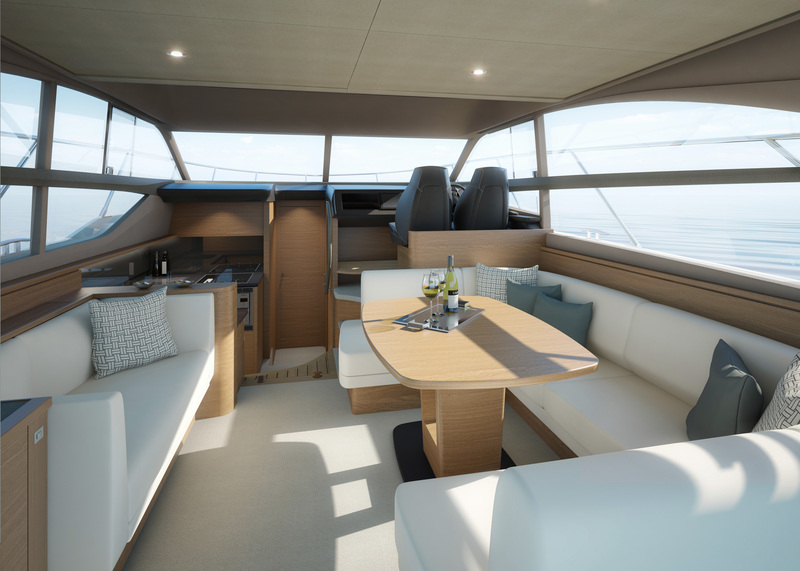 The impressive flybridge provides plenty of space to entertain guests with an alfresco dining area as well as flexible seating forward which converts into a sunbed. This area can also be optionally specified with a wetbar with electric barbeque. Additional seating around a folding teak table in the cockpit provides an alternate area to relax. Twin transom doors lead to the bathing platform, which can be optionally specified with an electro-hydraulic raise/lower mechanism aiding the launch and recovery of the tender or transforming the area into a submersible beach. 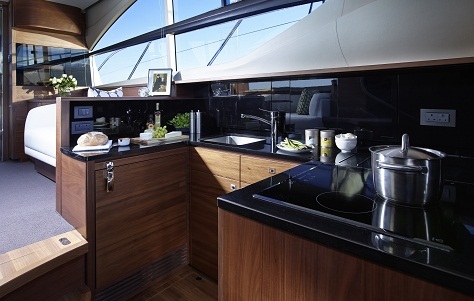 Sliding glass doors lead from the large cockpit to the generously proportioned, contemporary saloon. 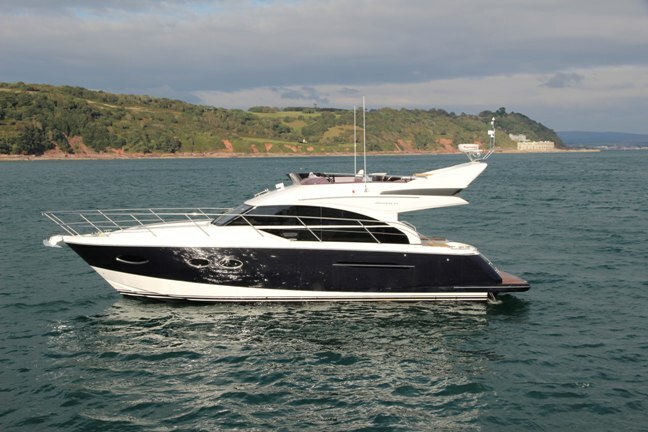 Benefiting from advances made on larger craft in the range, the new 43 features large windows in the style seen on the new Princess 52 which fill the main deck with natural light and ensure wonderful views and excellent visibility for the lower helm. 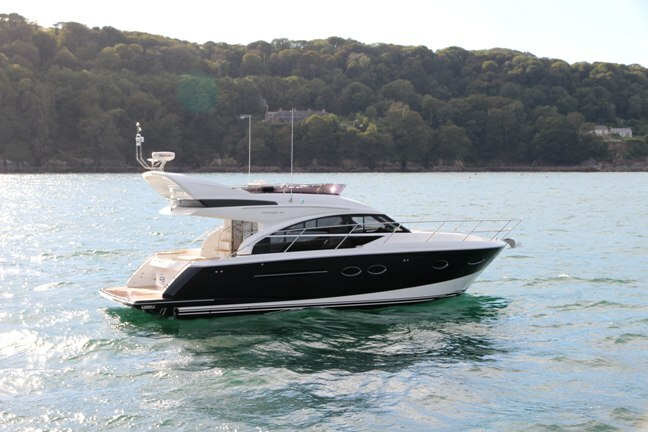 The latest infused structures first seen on the class-beating Princess V39 also feature on the new 43 to create greater volume for the beautifully styled interior. The 43 offers flexible accommodation for up to six guests with two well appointed en-suite cabins, including a beautifully finished owner’s cabin and twin guest cabin which can be optionally specified with electrically powered sliding berths to convert to a double bed, and saloon seating which can also be converted to a double berth for occasional guests. 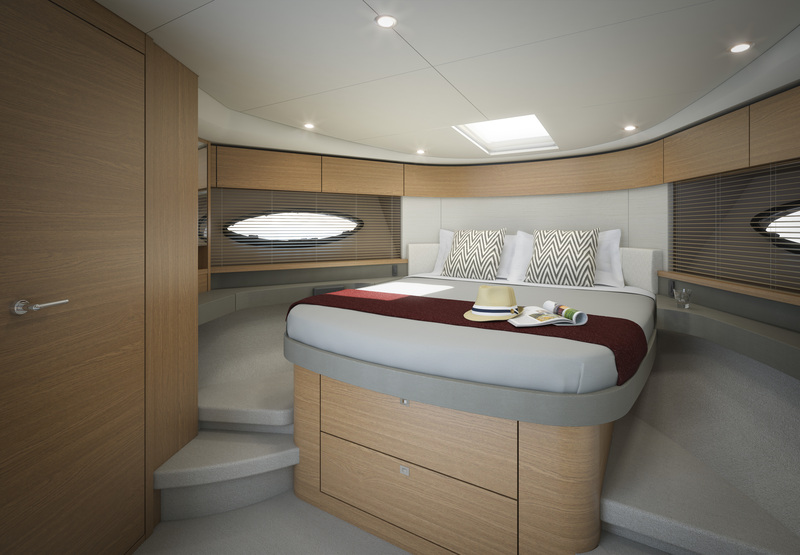 The Princess 43 marks a new era for the company; brimming with style and technology – being on board will be a true pleasure for the whole family. Our final words on the new 43 would be, job well done! 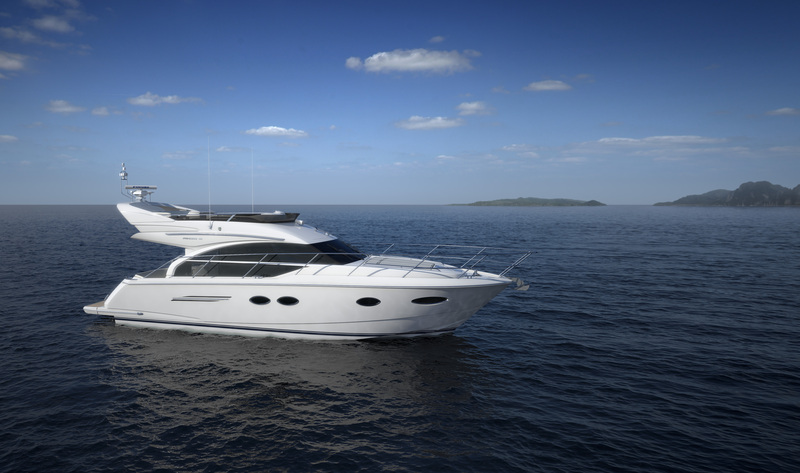 Princess have not changed the winning formula of the 42 but merely improved upon it, to once again set a class leading benchmark that perches the 43 high on the pedestal.